Cookie Assistant is a plugin that collects visitor consent to keep you compliant with EU laws. Live on 1,100+ websites. Modify the look of your notifications in our simple theme designer. Our snippet loads asynchronously and is minified / uglified, < 10 kb file size. We made this as simple as possible to keep the costs down. Your consent data is safe and available to download or delete any time. 1,100+ active websites can't be wrong. We've delivered millions of prompts. If you try us out and don't love it, we'll refund your purchase. Cookie consent prompts that fit your brand. Effortlessly pick colors, placement, and styles. 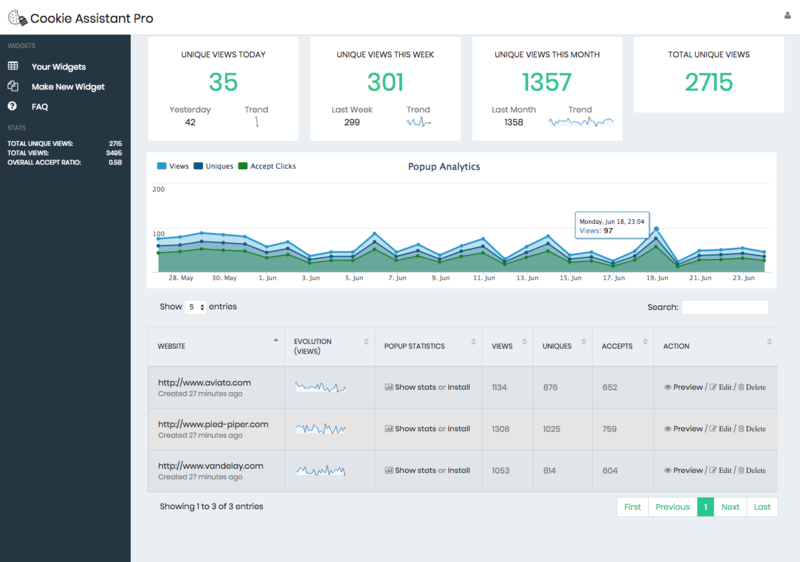 Configure all your web properties with one account; they'll each have separate stats and theme designs. 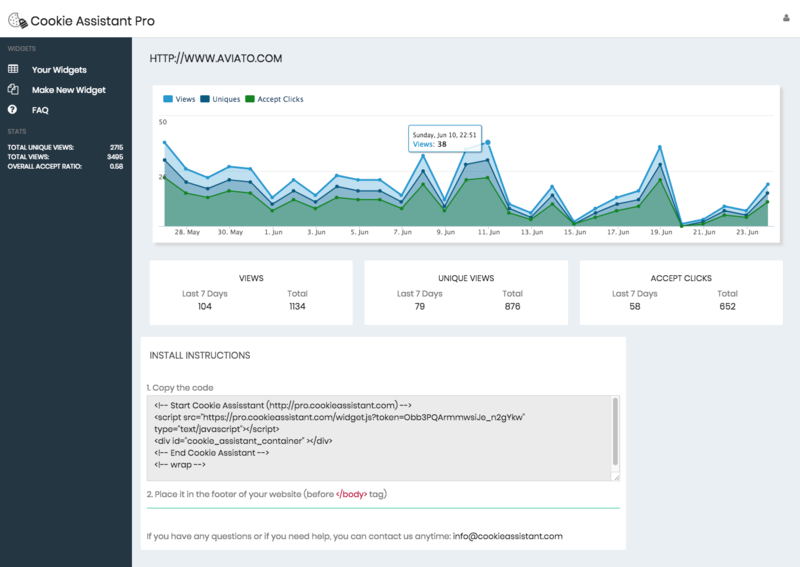 Cookie Assistant is maintained by engineers from Fomo and Cross Sell, leading SaaS apps with 1,000s of customers. 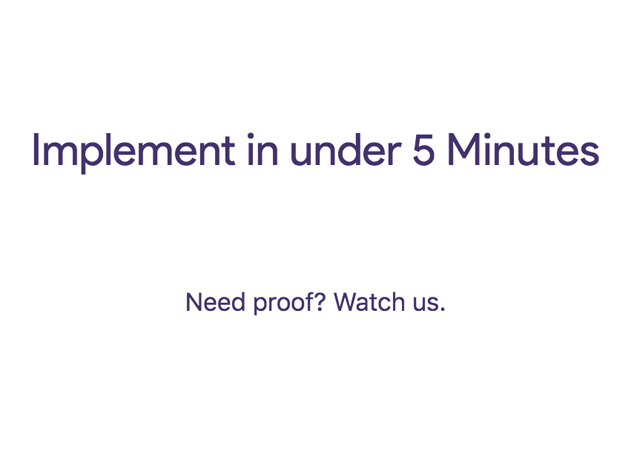 We built this to help you focus on running your business, not staying compliant. Set up in a couple minutes and forget it. Request a CSV export or deletion of all your cookie consent stats any time, we don't play games with your data. TL;DR - professionals don't mess around. Affordable pricing, no hidden charges. Annual discounts available. 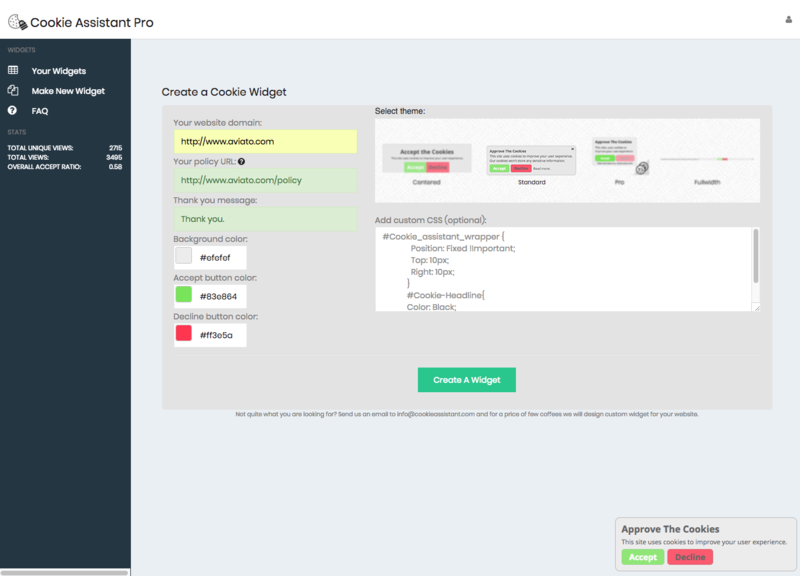 Cookie Assistant is a website plugin for EU cookie consent laws.